Conversations teachers endure. . . "It's all your fault!" Ever feel like this? Maybe after a short night followed by a long day? Or, just in general? You can help now. . .
As CitySquare prepares to expand our "Destination Home" initiative by providing permanent supportive housing for 28 more chronically homeless, disabled individuals, you can plug into an important, compassionate role. If you'd like to take part, purchase these items and bring them to 409 N. Haskell, second floor, and ask for Veronica Day or to 511 N. Akard Street, Suite 302 and ask for Keilah Jacques. Help even more by inviting your friends at church, work or in the neighborhood to join you in the project! Your time and concern will be a big encouragement to folks getting into real housing for the first time in a long, long time! 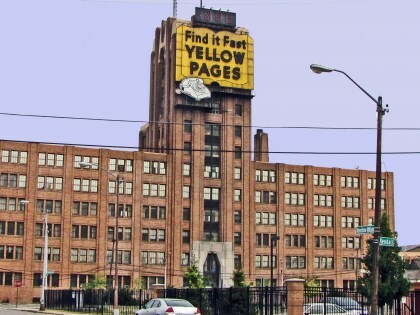 DETROIT (WWJ) – The old Michigan Bell building in Detroit is being converted into an apartment building for the homeless. WWJ’s Rob Sanford reports work will get underway next week on the housing project. The $5 million project calls for the construction of 155 one-bedroom apartments, along with in-house services for the homeless. Neighborhood Services Organization developed the project. The organization raised 80% of the renovation costs, with the rest made up of donations from several foundations and business organizations. Also moving into the 255,000 square foot building will be a federally funded health care clinic. The hope is that construction can be completed by the fall of 2012. When ya gotta go, ya gotta go, okay? Please forgive me for being less than delicate in this post, but there is just no other way to tell this one. Last Monday as I pulled into my parking slot in the under-building parking garage at CityWalk@ Akard where CitySquare has its administrative offices, I noticed a man exiting the garage from the corner nearest my assigned parking spot. Strange, I thought. What was he up to? He was nicely dressed in black slacks and a pressed white shirt. He carried a package of some sort in this hands, possibly an attache or a portfolio. He avoided all eye contact as I pulled in. I noted that he left in a bit of a rush. After parking my car I discovered why he had been in the parking garage and, more particularly, why he had been in such a hurry, as well as what he had been doing. The evidence consisted of a pool of expanding liquid! In short, this respectable Downtown business man had relieved himself in our parking garage. To be really clear he urinated in the corner. I feel compelled to report what I saw because my homeless brothers get tagged daily as the despicable people who urinate on the sidewalks and the storefront entrances of our downtown buildings. For the record I'm here to tell you it's not just the homeless people! It's some of the rest of us as well. You figure out what that means inside your own worldview. I just needed to let you know that we're all more alike than we care to admit far too often. One of the things I'm wondering now is whether or not our uninvited guest has made or could make a connection between his own "situation of necessity" and one of the most pressing, daily, fundamental challenges of residing on the streets of our city? Likely he got caught in a real pinch. My homeless friends spend a good bit of time every day searching for public restrooms or places of seclusion like our garage. I hope the realization will come to him, if it hasn't already. What's really sad is that this gent rushed out, no doubt embarrassed, when he could have come inside and taken advantage of our facilities, along with the formerly homeless persons who call CityWalk "home." I guess it didn't occur to him or, more likely, he doesn't know us. This year my mind and soul turn toward a guy named "Donny" (not his real name). A week ago we mourned his passing at CitySquare. He lived in our building for less than a month. He'd been homeless, and the street had taken its toll from him like so many others who've called it "home." He was very engaging and enjoyed his new home. We saw him out and about more than some of our other residents. He may have been diabetic. He wasn't among us long enough for us to really understand much about him. Like many formerly homeless persons, he lived his life basically alone. The really tough part about his death relates to this lonely existence. Actually, the fact that he was so alone likely could be listed as "cause of death." We discovered his body in his apartment. He collapsed into his closet as he prepared for the day. Evidently a heart attack. He's not the first formerly homeless friend that we've lost. As I say, the street quickly compromises health. Emergency shelters transformed to long term housing simply slow the inevitable process. In other respects I expect "Donny" was about like the rest of us. He possessed gifts and talent. He made his share of mistakes. Who knows what his life was like when he was 2-years-old or 10 or 16 or 25? At some point life simply unraveled for him. His poverty, whether driving him to the street or deepened by it to the point of almost no return, explains much about his last days. But, we shared more in common with him than the sum of our differences. I know we could have discovered that and more had he not died. It is small, inadequate comfort that he died in his own home. But, it's Easter and the whole point of the day relates to questions surrounding death, loneliness, meaning and hope. As I listen in church, watch my healthy grandchildren and consider life's confounding mystery, I'll be thinking of "Donny". And, I'll pray my usual prayer for mercy on us all. "He gives justice to the poor and food to the hungry. The Lord sets prisoners free." Based on this verse, how would you describe "the Lord"? "Justice to the poor". . .would this description keep some people away from this God? What does the assumption of the presence of oppression and the need for intervention say to you about the values of God? (AUSTIN, Texas) Center for Public Policy Priorities released the following statement regarding payday and auto title lending bills moving through the Texas House of Representatives. Over the past several years, unregulated and high-cost, short-term lending has taken a toll on Texas consumers and communities. Without state oversight, Texas consumers do not have basic protections against abusive lending practices or a way to escape the cycle of debt which traps Texans with unlimited fees. The 82nd Legislature has a unique opportunity to address these problems by enacting House Bill (HB) 2592, 2593, and 2594. We strongly urge the 82nd Legislature to enact meaningful short-term lending reform to create “rules of the road” and provide basic protections for Texans and their communities. To read the full statement and to discovery exactly what each of the three bills accomplish click here. The recently agreed upon federal budget that resulted in funding cuts of almost $40 billion included a $504 million cut to the Supplemental Nutrition Program for Women, Infants and Children (WIC). Taking a closer look at the WIC website, I identified the program mission: "WIC provides Federal grants to States for supplemental foods, health care referrals, and nutrition education for low-income pregnant, breastfeeding, and non-breastfeeding postpartum women, and to infants and children up to age five who are found to be at nutritional risk." A program description reads: "WIC food packages and nutrition education are the chief means by which WIC affects the dietary quality and habits of participants." "New food packages are now being provided to WIC participants in all States. On December 6, 2007, an interim rule revising the WIC food packages was published in the Federal Register. The new food packages align with the 2005 Dietary Guidelines for Americans and infant feeding practice guidelines of the American Academy of Pediatrics. The food packages better promote and support the establishment of successful, long-term breastfeeding, provide WIC participants with a wider variety of foods including fruits and vegetables and whole grains, and provide WIC State agencies greater flexibility in prescribing food packages to accommodate the cultural food preferences of WIC participants." For years we've referred women with infants to WIC for the nutritious food products needed by their little ones. Women earning at or below 185% of the federal poverty level have been eligible for the program. To put that in real terms, a mother with one child could earn up to $338 weekly gross and qualify for WIC food products. Clearly, infant nutrition or the lack thereof drives a number of important social and , ultimately, economic and public health outcomes, including obesity, brain development and function, learning capacity, family stability, and overall well-being and health. Aren't are children worth the cost? Isn't the investment one that will serve us all very well over the long haul? So, we've been looking for "Lazarus" (see yesterday's post) over the past week or so. He was nowhere to be found. . .until late Tuesday afternoon. As I left the T. Boone Pickens YMCA after working out, I spotted him seated on a sidewalk bench at the corner of San Jacinto and Ervay, in the shadow of the gigantic First Baptist Church. Immediately I contacted Lisa Ciminelli, Director of Social Work Services at CitySquare and asked her to join us for a conversation. While waiting for her to arrive, I talked to the man I've called "Lazarus." In fact, his name is Eddie. He came to Dallas 12 years ago from a city in another part of the country. With pride he informed me that back home he was state Golden Gloves champ three years running. He's been on the street for 10 years. About two years ago he suffered a stroke. The street is mean, like a cruel machine designed to eat up and compromise life an hour at a time. We'll keep working with our friend in a manner that seems best to him. To be honest, I hope he will soon be able to move into our building across the street from the corner he's been calling home for far too long. 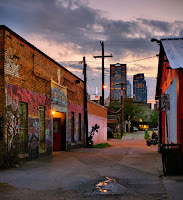 On April 1, CitySquare began outreach to homeless persons who live on the streets and sidewalks of the central business district here in Dallas. Downtown Dallas, Inc. contracted with us to do this work. The idea is to identify homeless people on the streets, get to know them personally, gain their trust and then work with them to find permanent housing here in Dallas or assist in reuniting them with their families here or elsewhere. So far, this new dimension of our work Downtown is going well. We're getting to know people and we're doing our best to assist them in improving their day-to-day living circumstances. The new assignment causes me to look at the streets and the people living on them differently. I find myself constantly looking for new friends in a way I haven't before. Most of the men and women to whom we reach out experience chronic homelessness. . .they've been "out there" for a long time with few interruptions in status or circumstance. One man I see on a regular basis reminds me of Lazarus, the man who "lived" outside the gates of the rich man's estate in the troubling story Jesus told. In the parable, the horrid life of the beggar connected directly to the after life of the man of wealth. The point of the story sobers me and moves me past my blind complacency. But, back to my modern day Lazarus. He often sits on the sidewalk outside the downtown YMCA where I workout most days. He's modified a walker to support himself and to secure his possessions as he moves about a very limited area. He is filthy, not having had access to a shower for a long time, or so it appears. I've talked to him a few times. His speech is hard to discern. He speaks with a very low voice. His eyes disturb me, I think because of the hopelessness and illness that flows from them. I've never observed him begging. It is as if he's given up on anyone helping him, or maybe it's that he's given up on the entire idea of there being any "help" for him from any source. We'll reach out to him again with more intentionality and resources than I've brought to the process so far. Hopefully, there will be better news to share about him soon. I do know one thing for certain as I reflect on him and my experience with him: the two of us need each other. That is true at so deep a level that neither of us understands just how true and important it is. Today I'll be looking for "Lazarus" again. The OECD released a massive pack of data on the developed world this week. America performs well on things like household income and tolerance; and badly on things like health and voting rates. But there are two measures where the U.S. is far and away the worst. First, the U.S. prison population is 760 prisoners in 100,000. The next closest country is South Africa at 329 prisoners, while the OECD average is 140 prisoners. Second, U.S. health spending is 16 percent of GDP. The next closest country is France at 11.2 percent of GDP, while the OECD average is 9.0 percent. This means that Americans cost more to take care of -- even while their benefits are worse. Social spending is low on pensions, but high on prisons. Health spending is off the charts, but obesity and life expectancy are worse than average. "Ah, you who make iniquitous decrees, who write oppressive statutes, to turn aside the needy from justice and to rob the poor of my people of their right, that widows may be your spoil, and that you may make the orphans your prey!" All Star goes down. . .will Rangers? During Tuesday's game against the Detroit Tigers, American League MVP and Rangers' outfielder, Josh Hamilton slid into home. He was thrown out at the plate. In the process he broke a bone in his shoulder. Hamilton will be out of action for 6-8 weeks. How will the Rangers manage without their star player? I predict they will rise to the occasion in fine fashion. But, as I say, we'll see. It's why we watch the game, right? BTW--three day games in Detroit in a row really made it hard to work this past week! Anyone else feel that way? Beauty, power in the city. . .
My father employed ritual to teach me an important lesson in civics and citizen responsibility. On April 15 every year, he made certain that I understood what was going on in the country. While I don't remember all of the techniques he used, I do recall being present at the crucial moment when he made out his check to the Internal Revenue Service. I can still see him at the kitchen table or at his small desk in our living room pulling out his checkbook and carefully filling in the blanks. Then came the short speech that went something like this every year: "Son, we should be grateful that we have the ability to pay taxes. I never begrudge what I pay back to our country. We are blessed to be here and we're lucky to have a life like we enjoy." Today, in my very different world with much lower tax rates, I file my return electronically. But, I remember and I smile. I'm thankful for what he taught me. And I'm most grateful for this country. And yes, I had to write a check. Proud and thankful that I could. Rev. Gerald Britt, CitySquare's VP of Public Policy and Community Program Development, has been working hard for changes in the payday lending laws in Texas and in Dallas. One outcome of his vision and hard work was a visit to CitySquare last Friday by Elizabeth Warren, Assistant to the President and Special Advisor to the Secretary of the Treasury. Another result is documented in the press release below that was issued by Texas state Rep. Rafael Anchia and Rep. Marc Veasey on Friday. The progress is not all that we hoped, but a step in the right direction. And, the effort is not complete, as the legislation must come to the full House for a vote and work must be done on the Senate side to get a new law. It is important that we express our concerns to our representatives and to our Senators here in Texas about this important issue. Bills do not address all concerns with payday lenders, but represent improvement from current law. AUSTIN -- On Thursday, April 7th, the House Committee on Pensions, Investments, and Financial Services unanimously approved House Bills 2592, 2593, and 2594, by Rep. Vicki Truitt (R-Southlake). These bills create a system of regulations for payday lenders, who currently are subject to very little state oversight. At the outset of the legislative session, State Rep. Rafael Anchia (D-Dallas) and State Rep. Marc Veasey (D-Fort Worth), who serve on the committee, had hoped for stronger regulation. Both representatives authored or co-authored bills that would have provided for more restrictions on payday lenders. Those bills would have restricted the lenders' ability to roll over past due balances into new loans, charge exorbitant interest rates, and saddle consumers with unexpected debt. “This bill, although not perfect, brings significant new regulation to an industry that, until now, has been free to operate in Texas with very little oversight,” Rep. Anchia said. He added, "Significantly, the Office of the Consumer Credit Commissioner now has the power to move against the bad actors in the industry on behalf of consumers who look to the state for much-needed protection from predatory lenders." Despite their preference for stronger legislation, Rep. Anchia and Rep.Veasey voted in favor of the payday lending bills. They feel that the legislation provides as much protection and regulation as possible while ensuring that the bills can obtain the support of the majority of the Legislature. Both representatives believe that the need for regulation of payday lending is too pressing to delay by waiting for more perfect legislation. “Although I wish that we could pass a bill that would do more to protect consumers, I support this legislation because I believe it is the most we can accomplish this session, and it represents a significant improvement over current law,” Rep. Veasey said. State Representative Rafael Anchia is currently serving his fourth term in the Texas House. He is the vice-chair of the Pensions, Investments, and Financial Services Committee, and also serves on the Land and Resource Management Committee. Residents of District 103 are encouraged to contact Rep. Anchia at (512) 463-0746. State Representative Marc Veasey is serving his fourth term in the Texas House. He is a member of the Elections; Pensions, Investments and Financial Services; and Redistricting Committees. Residents of District 95 are encouraged to contact Rep. Veasey at (512) 463-0716. Sometimes the anger reveals dead honesty. That's what I believe I witnessed last Saturday outside a Panera Bread store. Not the most likely location for such an encounter. I parked my car across from the store. As I walked to the front door, I heard someone call out, "Sir, sir, can I talk to you," the voice inquired. I turned to see a man getting off of a trail bike. He approached me, clearly upset. "Sir," he said with an edge in his voice, "I've been washing up in restrooms and out here begging all day. Can you please help me get the $7.00 I need to get a bed at Salvation Army?" I opened my empty wallet. As I dug around in the debit receipts, I found one dollar. "Man," I began, "why don't you go to the Bridge? You could get a shower and a bed," I opined looking for some margin of hope. "Crack house for me, man! I can't be there for my recovery," he explained. I'm not sure he's right about the Bridge, but his point of view should be heard and taken seriously. "Here, take my card and call me on Monday, I may have access to housing for you," I explained. Over the next 5-10 minutes he reported that he was HIV positive, disabled and working at a WalMart in South Oak Cliff by day and begging for funds to fill his gap by evenings and weekends. Claimed he rode 3 buses to work. I'm not sure about all of that, but his anger captured my attention. He wanted something different. He seemed incapable of resignation to his situation. I like that. I returned to my car and dug out all of my parking change to add to my donation. While I walked back to my car to retrieve my change, he encountered another Panera Bread patron who treated him with disrespect, adding to his anger. As I returned to him, I heard him venting under his breath about his humiliating position. Those of us who judge with ease the folks who live on the street need to rethink our approach and our attitudes. What would it be like to live like that man? How would I want to be treated if I were in his situation? It's an important question to ask. Payday loans. . .local action now! Even though the state battle to provide more robust regulation of the payday lending industry is about over, a very important local effort is still very much in play. Read what follows and then take personal action to help in our efforts to protect our low-income neighbors. Predatory lending is a big problem across Dallas. In recent years, the number of auto title and payday lending locations has exploded and now over 200 storefronts exist within the city. Payday and auto title lenders have found a loophole to escape state licensing and are “legally” able to charge outrageous rates, trapping many people in cycles of debt while draining community resources. 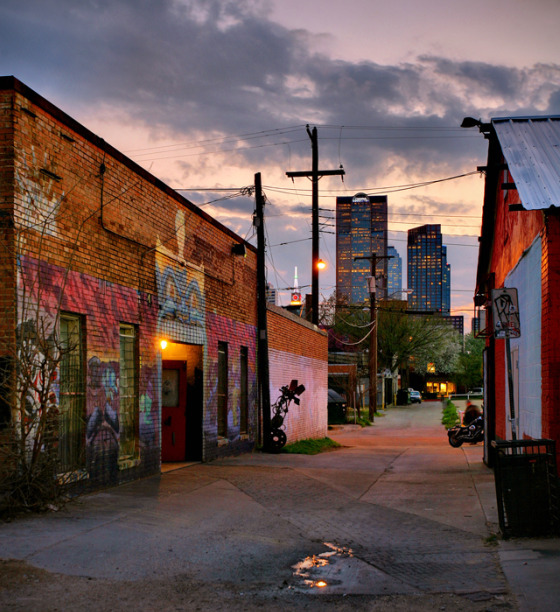 The Texas Legislature must ultimately act to regulate these lenders so that their practices are fair and reasonable; however, since there is a heavy concentration of these locations in Dallas neighborhoods – particularly in areas already struggling economically -- the Anti-Poverty Coalition of Greater Dallas is calling on the City of Dallas to take action and reduce the negative impact of these lenders through a strong zoning ordinance. These loans create a treadmill of debt. Few borrowers can repay the loan in full, plus interest, and pay for other monthly expenses. Thus, borrowers must to re-borrow, or “rollover”, the loan in order to fill the gap in their budget created by their loan. None of the rollover payments apply towards the loan principal, so the cost to borrow the money frequently exceeds the original loan principal. Over half of payday borrowers rollover at least once before they pay the loan off – and nearly one in four borrowers rollover loans multiple times. The average payday borrower pays $840 for a $300 loan. Because payday loans are secured by a borrower’s post dated check, payday lenders can hold borrowers’ bank accounts hostage. If the borrower cannot pay in full or the exorbitant fee to rollover the loan, they will face heavy charges from both the payday lender and from their bank in overdraft charges. Fees for a one-month $4,000 auto title loan exceed $1,000. This $1,000 fee must be paid every month until the loan is paid in full, or a missed payment can result in repossession of the car. Last year, nearly 200,000 vehicle liens were filed in Texas by unlicensed auto title lenders. Contact your State Senator and Representative to tell them that you support Texas regulating payday and auto title lenders. Sign the petition asking the City of Dallas to enact an ordinance to lessen the concentration of payday and auto title stores and reduce their harmful impact on our neighborhoods. The Anti-Poverty Coalition of Greater Dallas is a new coalition that seeks to move 250,000 people out of poverty permanently by 2020 by coordinating efforts to keep people from falling into poverty and increasing pathways out of poverty. We are a broad-based coalition that unites the business community, faith-based organizations, social service agencies, and foundations. Join our fight today! Few, if any, know as much about public health care and its cost than Dr. Ron Anderson, the President and CEO at Parkland Health and Hospital System. Recently, I received the following legislative update from Dr. Anderson. When Dr. Ron writes, we all should be listening. Hear him out. Last week, the Texas House Appropriations Committee passed House Bill 1, which would drastically slash funding to hospitals and doctors. Similar discussions are happening in Washington about funding cuts as well as changes in health policy to try to deal with deficits and the cost of health care. Yet some of the proposals might not truly save any money, but rather simply shift the chairs around the Titanic. Medicaid is not the reason for the current structural deficit in Texas. A cut to Medicaid may actually cost three times as much as it saves because Medicaid is a state-federal match program. When we cut a state dollar, we lose additional federal dollars. The growth in Medicaid relates mostly to increased enrollment during economic downturn. This is exactly how Medicaid was envisioned to work, as a "counter cyclical" safety net. Many of the state dollars that are matched are local tax dollars that hospitals like Parkland send to the state in order to achieve the federal match. Out of $8.6 billion of state match in this last biennium, only $1.7 billion was actually general revenue. In fact, Medicaid local and state dollars were matched with more than $16 billion of federal money which is divided from taxes we Texans pay to Washington. We're simply returning money to Texas to support our neediest residents. At the same time, Medicaid is already a program that does not pay the full cost of care. Only 38 percent of Texas doctors accept new Medicaid. Many may stop caring for Medicaid patients altogether if there were additional cuts. In turn, patients go to emergency rooms that are already crowded. These patients may wait to seek care and therefore have a more advanced illness, requiring admission that could have been avoided through early intervention, prevention and primary care. The total cost of health care will go up and many people who are not Medicaid patients will be impacted. How does this impact Dallas County? While the state might save money, it costs money for the local government, the local health care providers and the local taxpayers. Think of the total burden of illness that must in turn be supported solely by this community. It's simply a cost shift. Consider also that local tax values have declined yearly by 3 to 4 percent for the last four years leaving little ability to absorb these costs. Texas has been remarkably short sighted in not taking advantage of federal matches. Some of the discussions are about expanding managed care, supposedly saving the state $50 million. On the other hand, it would also minimize the ability to match federal Upper Payment Limit dollars, costing Texas $800 million to $1 billion. If we take away a significant funding opportunity, we need something to replace it. If we create a ripple effect downstream to local government, then the budget cut doesn't accomplish what was intended. Before we balance the budget on the backs of vulnerable people - the poor, the pregnant, the children and nursing home residents - we ought to take a comprehensive look at solutions, both in terms of state revenue and expenses. Whether it's use of the Rainy Day Fund or program cuts, I don't think there are any simple answers. I'm pleased that members of the North Texas delegation are looking for answers. However, there comes a time when we have to realize that a sacrifice is going to have to be made. Because of the wonderful Dallas County citizens and their support of the bond campaign, we have money to build a new hospital. That won't be affected. In fact, it better prepares us for the future to stay competitive in the marketplace after health reform. Yet as we plan the Parkland 2012 budget, we are taking a serious look at savings that make minimal impact on patient care. But we've done that now for the last four years, and as painful as it is, eventually we may have to curtail services. We must consider the ripple effects of potential "savings" and the burden it creates on others. Parkland has an open door for the vulnerable and needy. We care for those with Medicaid even if the reimbursement is low. However, that means Parkland could also be impaled by volume if the private sector disengages from Medicaid due to cuts. That's a concern that keeps me awake at night. But above all else, we will continue to advocate by putting the patients first. There's just something about a coach. He coached linemen, both offensive and defensive at Richardson High School when I was there. Coach died a few weeks ago. He was 83. Charlie was more than just a coach in my life. For a number of years he served as an elder at the Richardson East Church of Christ while I served as the Senior Minister. Funny how life works out. From the time I was 15 until I was 18, Coach Broom played a key part in my life. Under his direction and that of head coach Joe Simpson, the Richardson High School Eagles worked our way to the Texas state semifinals where we were smashed by the team from Abilene Cooper 42-7. We played that game in the Cotton Bowl, our second game in the venue that year. We played before 42,000 fans in the quarter finals against Bryan Adams High School. What a magical year. Coach Broom got us there. "Hey, babe," he would greet us whenver he saw any of us. And, he greeted me with that term of endearment when I was his minister. Charlie made people better. I don't know what tribute tops that one. We will miss him. We are grateful we knew him. Thanks, Coach. Rest in your well-deserved peace. This Sunday, April 10, CBS will broadcast a religion special about how the unemployed are being helped by faith communities. The program, Unemployment: How Faith Communities Help Job Seekers, features an interview with Rev. Paul Sherry, Director of IWJ's DC Office and Campaign Coordinator of Faith Advocates for Jobs. Check your local CBS station for the exact time of the broadcast (in some areas, it's being broadcast later in the week, or the following week). Given the current jobless rate and overwhelming numbers of unemployed workers, many faith communities have created programs to assist people with their job searches and job retraining. Programs are conducted by experienced professionals free of charge and most do not require job seekers be members of the church or religion. Faith communities acknowledge that faith and prayer have to be aided by training and greater market awareness to help increase employment rates. As UNEMPLOYMENT: HOW FAITH COMMUNITIES HELP JOB SEEKERS shows, many experienced and compassionate people are helping today's job seekers. The CBS special visits the Career Transition Center of Chicago (CTC), where one such program offers professional, spiritual and emotional support to those looking for work or undergoing a career transition. CTC was founded in 1997 primarily by the United Methodist, Presbyterian, Roman Catholic and Episcopal communities. The program features interviews with Executive Director Anita Jenke and David Kaiser, a life coach volunteer at the center, as well as those currently using the CTC's outplacement services. In Chicago, the special visits St. Chrysostom's Employment Council, which dates back to the 1980s. Viewers will see a workshop entitled "Improving With Improv: Presenting Your Best Self through Humor and Spontaneity" and led by Bina Martin, a teacher at Chicago's famed Second City Improv. While there, viewers will also hear from Rev. Larry Green, a Deacon at the church, and Michael Cade, a parishioner and volunteer who oversees the Employment Council's monthly meetings. Up next is New York City's Riverside Church, which offers a free six-week barber training program. Since 1997, master barber Dennis F. Thomas has trained nearly 2,000 people in the basics of barbering. The special explores the church program's practical results by visiting with some of its graduates at work, and speaking with Debra Northern, Director of Social Services for Riverside Church. The special's final stop is St. James, a Roman Catholic Parish in Stratford, Connecticut, where Rev. Paul Sherry of Interfaith Worker Justice talks about the realities of unemployment, lending a deeper sense of need to the practical efforts now offered by local churches. His is an advocacy group that addresses related issues of wages, benefits and working conditions. The individual local programs help support job seekers with new skills as well as insights as to what employers are seeking today. The special is produced in cooperation with the National Council of Churches, Consortium of Roman Catholic organizations, the Islamic Society of North America, the Union of Reform Judaism and the New York Board of Rabbis. To learn more about Faith Advocates for Jobs or to get your congregation or group involved, e-mail Paul at psherry@iwj.org or call him at 202-525-3055. Faith Advocates for Jobs has produced a toolkit for congregations that want to get involved with the campaign. Standing With the Unemployed: A Congregational Toolkit can be downloaded here (it's a PDF). Jim Wallis, leader of Sojourners, recently announced a hunger fast to bring attention to the "moral choices" being made today in Washington, DC as Congress works on the national budget. Wallis has long maintained that all budgets are moral documents forcing a national or personal discussion. To learn more about the fast and how to join it click here. Here's part of a report that Jim shared on Thursday with his online community. He asks provocative questions. For those of us who live and work among the urban poor, the questions are more than understandable. The message of the fast gets clearer each day — fasting tends to focus you, and the message is that a budget is about the choices we make. This fast is not just about cutting spending, but about the values that will determine our priorities and decisions. Should we cut $8.5 billion for low-income housing, or $8.5 billion in mortgage tax deductions for second vacation homes? Should we cut $11.2 billion in early childhood programs for poor kids, or $11.5 billion in tax cuts for millionaires’ estates? Should we cut $2.5 billion in home heating assistance in winter months, or $2.5 billion in tax breaks for oil companies and off-shore drilling? This debate isn’t about scarcity as much as it is about choices. Context: I shared the following remarks on "leadership" at the 2010 Healthcare Heroes Awards sponsored by the Alliance for Healthcare Excellence in Dallas, Texas at Los Colinas Country Club on the evening of November 11, 2010. Thanks for the invitation: your mission is so very important, your work most noteworthy; and it’s an honor for me to be with you this evening! When invited to be with you tonight, I was asked to speak about “Servant Leadership.” Immediately, I thought of Robert Greenleaf’s groundbreaking work on the subject. 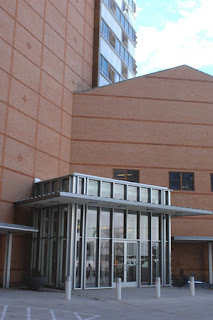 I even visited the Greenleaf Center for Servant Leadership website and noted that just recently the center hosted a conference on servant leadership for healthcare professionals! I suppose these times cause us to stop and reflect on the sort of leadership we need today to be successful. To be sure, the nature of our challenges today, with all of their complexity, interlocking realities and required tradeoffs/compromises, call for a different approach on the part of leaders. Our apparent loss of simple civility in our political and policy discourses discourages us all, I expect. Just a note here: a “loss of civility” in political discourse is really not a new phenomenon on the American political landscape. Jefferson and John Adams engaged in it in 1800--Jefferson’s faith was berated and questioned. Andrew Jackson and John Quincy Adams engaged in it in 1828. Be that as it may, our current battles and loss of civility call for a new sort of leader. Individual self-interest can no longer carry the day; as a matter of fact, pursuing self-interest alone could be our undoing as a people. . .today demands sacrifice and servant hearts. So, what is this notion of “Servant Leadership”? How does one know if he or she is in fact such a leader of others? You are a “servant leader if. . .
1. . . .you listen as much or more than you speak--this requires restraint, respect and reverence--to listen first is to build trust and team and respect. 2. . . .you are as comfortable taking directions as you are in giving them--this calls for inner strength, assurance and self-confidence, this calls for trust and connection, the things that make leaders great. 3. . . .you are as concerned for others and their concerns as you are for yourself and your agenda. 4. . . .you recognize the benefit of cooperation over against radical, unbridled individualism—a value promoted ad nauseum in our culture. 5. . . .you work hard to promote others and their interests in the world you share with them. 6. . . .you become more and more selfless in work, focus, mission and style. 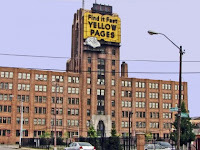 8. . . .you recognize often overlooked sources of capital and power. 9. . . .you open yourself to engagement; avoid isolation; embrace creativity from unexpected sources and enjoy a measure of chaos! 10. . . .you develop clear, bold plans and then execute with your team adjusting as you go! “Leadership is leaders acting—as well as caring, inspiring and persuading others to act—for certain shared goals that represent the values—the wants and needs, the aspirations and expectations—of themselves and the people they represent. And the genius of leadership lies in the manner in which leaders care about, visualize, and act on their own and their followers’ values and motivation.” James MacGregor Burns, Leadership. I suppose the ultimate image of servant leadership for Christian folk would be the scene where Jesus washes the feet of his disciples: an act of necessity, an act of humility, and act of love that models the servant’s “whatever is necessary” heart. He crossed Normandy beach on the 5th or 6th day after D-Day. He and his combat group fought their way into the middle of the Battle of the Bulge—most of his compatriots were lost in the fighting; he was wounded in the process—blown off of a Jeep. He told me that on Christmas morning 1944, he awoke under a foot or so of snow in the midst of the battle of his life and of the war. He won the Purple Heart and the Bronze Star. He never spoke expansively of his exploits or his experience. He came through tough, tough times. Before he died, I wrote him a letter thanking him for his leadership, heroism and sacrifice. . .he was a servant leader for sure. In asking me to think of these principles, you’ve reminded me of him and I’m most grateful. "to make a way out of no way. . ."
Remembering Dr. King. . .
"When our days become dreary with low hovering clouds of despair, and when our nights become darker than a thousand midnights, let us remember that there is a creative force in this universe, working to pull down the gigantic mountains of evil, a power that is able to make a way out of no way and transform dark yesterdays into bright tomorrows. Let us realize the arc of the moral universe is long but it bends toward justice." Graduation from high school would take place in about two months. I was 18-years-old, trying to get my head around leaving home for college. Personally, it was a time of nervous transition, but I thought I was ready. Late in the day, 43 years ago today, my dear friend and almost brother, Eddie Wilson and I were putting up campaign signs in yards and on street corners promoting a candidate for the local school board election who my father supported. As was typical, the radio blared from my car, the 1957 Buick I had inherited when the family purchased a new vehicle. The news flash crackled out of the AM broadcast informing us that Dr. Martin Luther King, Jr. had been murdered in Memphis, Tennessee where he had traveled to support a labor action by Memphis sanitation workers who were on strike. I would later hear reports that referenced the now almost eerie speech the famous preacher had delivered the night before in which he spoke of having "been to the mountain" and how he did not fear death or any man. Growing up in an extremely segregated Dallas, Texas, I possessed inadequate social background or understanding to interpret the significance of what I was hearing on the radio. I remember sitting in the car staring at the dial in disbelief. Another leader of people gunned down. Since that awful afternoon 43 years ago, I've come to understand just how significant was the life, work and word of Dr. King and just how horrific the loss of his life and leadership was for the nation. So, today, I'm back in the front seat of my car, hearing terrible news and trying to discern what it might mean. Forty-three years later I know the work continues. I know Dr. King's life mattered. I know that we continue his work. And, I know the same tears that came to my eyes so long ago. 6th Grade Graduation or something like it! So, I've noticed that time rushes on. There is no space for standing still. The funny thing is, while time elapses quickly, a moment at a time, we seldom take careful note until the realization arrives: I'm getting a lot older! 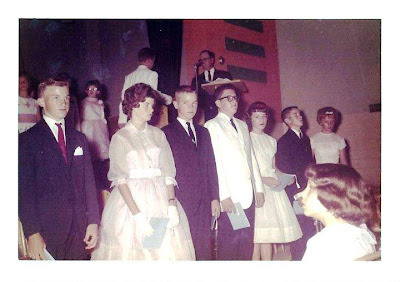 The photo below pictures a graduation ceremony of some sort, most likely that perilous transition from elementary school to junior high! Just for the record, that's me standing third from the left between Jimmy Foster and Jane Baker (I think). My best buddy back then, Stan Holmes, is first from the left. Don't we all look happy! Maybe, just maybe on this auspicious occasion we were in touch with the fact that time was slipping past us. Maybe or maybe not. Clearly, if we had an inkling, we suppressed it quickly as we went about the business of "growing up," whatever that means! 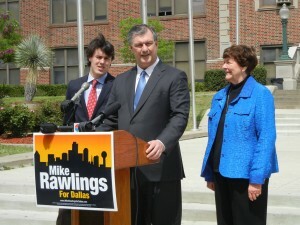 Dallas mayoral candidate, Mike Rawlings is out with his plan for how the City of Dallas can help improve the Dallas Independent School District. One interesting aspect of the Rawlings plan involves recruiting a volunteer army of senior citizens to assist in the schools. . .Rawlings says up to 300,000! One thing you can say for Mike, he dreams big. My experience working with him when he was homeless czar for Dallas confirmed that he puts his money and his effort where his mouth is. Interesting race at t his point. Below you'll find just dandy news about workers in Texas. What's that old saying about thanking God for Mississippi? Now those folks are thanking the good Lord for Texas!